As a Strauss Project Coordinator, Jen Kowaluk is an expert in logistics. She works with association clients to ensure all major initiatives run smoothly and members’ needs are addressed. 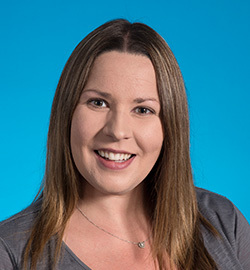 Jen is the primary contact for members and potential members of Mensa Canada and Winnipeg Executives Association, and plays a leading role with administration, planning and exam coordination. multiple Winnipeg Regional Health Authority events and conferences. Jen is a graduate of Red River College’s Tourism program. As a Project Coordinator at Strauss, I get to see how valuable associations can be to their members. It’s our honour to help keep associations strong so they can serve their professional and business communities. Association Membership Management Systems: Is it Time for a Change? How Does Your Professional Association Recruit Members? So, Your Association wants to Start a Blog: Now What?